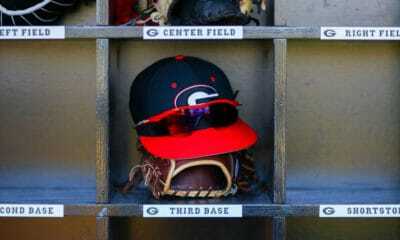 ATHENS, Ga. – Georgia’s Ike Cousins head baseball coach Scott Stricklin announced Tuesday that nine student-athletes have signed with UGA. They will join the Bulldog baseball program for the 2018 season. All nine newcomers will arrive from the high school ranks and are from the Peach State. Attending Cairo where he plays for Ron Best…Posted a team-best 11-1 record, 1.09 ERA, 98 strikeouts and 15 walks in 64 innings for the Syrupmakers as a junior…Led team to a 23-6 mark, the best in school history…Named 2016 Region1-4A Player of the Year, All-Area Player of the Year, All-State Honorable Mention and team’s Golden Glove Award…Also a Top 10 Student…Played summer baseball with Game On Stealth and coach Derrick Simon…Son of Don and Mona Hancock. “I’ve been a Georgia fan my whole life, and Athens feels like home,” says Hancock. Attending Kennesaw Mountain where he plays for George Hansen…Batted .364 with six home runs, 18 RBI and 18 stolen bases for the Mustangs as a junior…Named team MVP and All-Region in 2016 as team went 14-14…Outstanding student…Plays summer baseball with Team Elite Prime and won 18U BCS title…Son of Vincent Johnson and Marcelle Fabien-Johnson. Attending Hillgrove where he plays for Coach David Richardson as they won the Region 4-AAAAAA championship in 2016, going 15-13…As a junior for the Hawks, collected a team-best 12 doubles, 22 runs scored and 12 stolen bases while batting .318 with 14 RBI…Earned 1st Team All-Region honors and Honorable Mention All Cobb County by the Marietta Daily Journal… Member of Junior Team Georgia…Son of Mark and Susan Minter. “I chose Georgia because the program has a bright future, and it was the right fit for me,” says Minter. Attending Gordon Lee where he plays for Mike Dunfee…Batted .386 with three home runs, 17 RBI and 11 stolen bases plus posted a 1.57 ERA with 42 strikeouts in 26.2 innings as a junior…Helped the Trojans go 19-9 and claimed the region title…Named All-Region as a sophomore and junior and was Freshman of the Year…Plays summer baseball with the Georgia Jackets…Son of Tim Rogers and Mitzi Bailey. 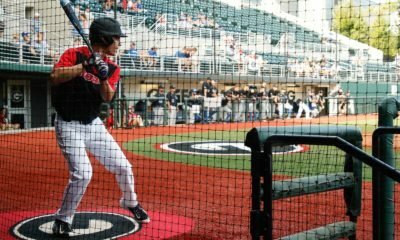 “It has always been a dream of mine to attend UGA, and the baseball program is the best fit for me,” says Rogers. Attending Westminster Christian Academy where he plays for Nate Donatelli…Posted a 6-2 record, 0.63 ERA and 85 strikeouts in 43 innings pitched as a junior plus batted .465 with five home runs, 36 RBI and 16 stolen bases…Helped Lions to a state runner-up finish, going 15-4 overall and 8-0 to win a region title…Earned All-State and All-Region honors…Outstanding student with near-perfect GPA…Son of William and Alison Smith. “I’ve always dreamed of being a Bulldog, and the coaching staff cemented my decision,” says Smith. 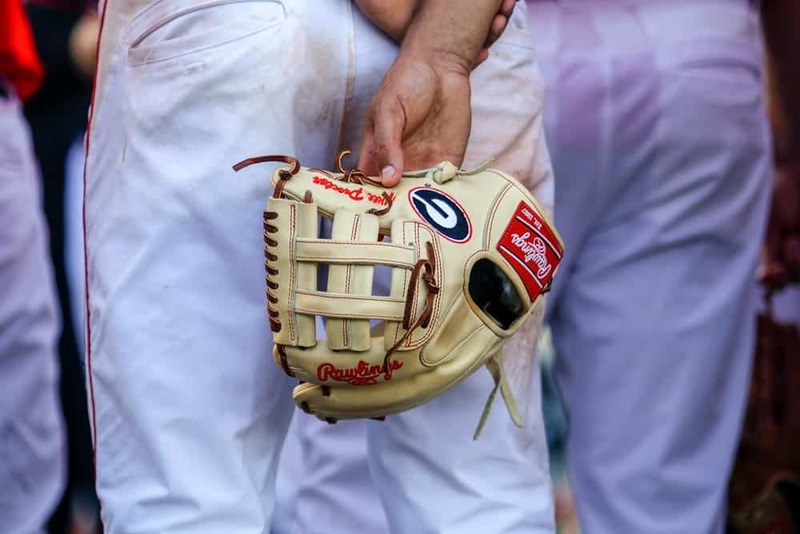 Attending Oconee County where he plays for Tom Gooch…Batted .434 with one home run, 26 runs scored, 13 RBI and a .560 on-base percentage in earning preseason and postseason All-State honors…Also a two-time All Region selection and set the school record for fielding percentage at .967…Part of Warriors squad that went 13-14 in 2016 seeing action as starting second baseman and pitcher…Also lettered in football and basketball…Played summer baseball with Team Elite Prime and won BCS Championship and finished second out of 88 teams at the WWBA World Championship…Son of Ray and Melanie Tate. 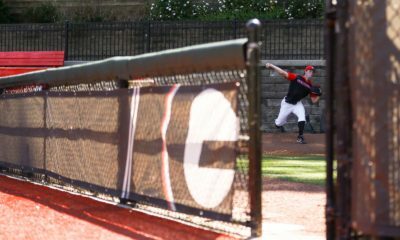 “It has always been a dream of mine to play baseball for UGA,” says Tate. Attending Oconee County where he plays for Tom Gooch…Batted .414 with five home runs, 27 runs scored and 21 RBI in earning preseason and postseason All-State honors…Also a two-time All Region selection and recipient of the Golden Glove Award…Part of Warriors squad that went 13-14 in 2016 seeing action as a starting shortstop, third baseman and had four saves on the mound…Also lettered in football and basketball…Played summer baseball with Team Elite Prime and won BCS Championship and finished second out of 88 teams at the WWBA World Championship…Son of Ray and Melanie Tate. “I have always dreamed of playing for the University of Georgia,” says Tate. Attending Etowah where he plays for Greg Robinson… Named a 2016 Under Armour All-American, a Perfect Game All-American and selected to the 2016 Under Armour All-American game at Wrigley Field…Ranked No. 8 among Perfect Game Class of 2017 High School National Top 10 recruits…Batted .470 with one home run, 14 RBI and 18 stolen bases as a junior…Helped Eagles go 18-7…Played summer baseball with 643 DP Cougars and was 2016 Player of the Year…Helped squad win the Super 25 title along with the 17u and 18u Evoshield Champions and World Wood bat Qualifiers title…Named an Academic Scholar and Lamp of Knowledge…Has two older siblings who were student-athletes and earned degrees from UGA (Zach-baseball, Caroline-soccer)…Son of Mitch and Lisa Waters. 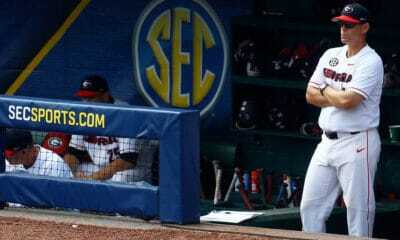 “I wanted to be part of a team with history, and UGA has had tremendous success,” says Waters. Attending Pope where he plays for Jeff Rowland…Posted a 9-1 record, 1.92 ERA and 77 strikeouts in 54.2 innings as a junior…Helped Greyhounds go 28-6 and advanced the to state finals and won the region title…Named Co-Team Pitcher of the Year….Played summer baseball with the Evoshield Canes National 17U squad…Son of Mike and Chrstie Webb. “UGA was always my favorite school growing up, and it’s a dream come true to call myself a Dawg,” says Webb.